When Bank of America’s logo is transformed by an angered customer to read Bend Over America, something is wrong with banking. That bank took bailout money in 2008, paid no federal taxes in 2010, and fired 30,000 of its employees in 2011. The public sentiment for just this prima facie absurdity is that Bank of America deserves to be sued for being an incorrigible deadbeat. But, let’s set aside the rhetoric and satire and look closer. The fact is, all of the banks are deadbeats given the nature of the lawsuits against them. [i] There are too many to count, and they come in all shapes and sizes. And, they’ve all been repeatedly sued for securities fraud, origination fraud, false claims, and on and on. It’s 1933 all over again. We have a repeat performance of the bank panic and foreclosure crisis from the past, but this time it is so much more worse. How did we get here? There was high-level and widespread incompetence and dishonesty across the financial sector. The federal government then undermined the free market and blocked the judicial process from clearing the markets. The federal government then passed a series of one-sided laws that favored corporations at the expense of the government and the tax-paying public. In the process, the Federal Reserve—the nation’s leading banking regulator—was bestowed with more regulatory powers, though it had not competently regulated the banking system that was under its oversight. 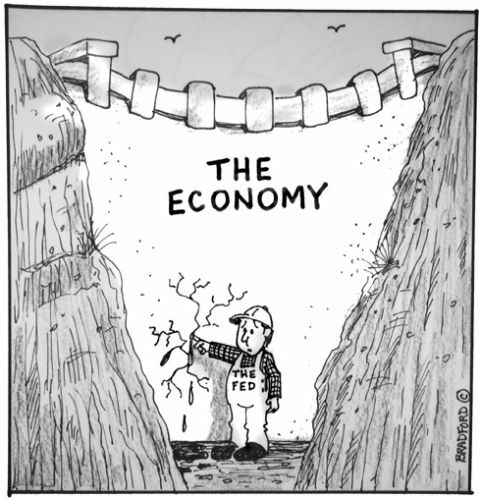 In fact, back-to-back rounds of quantitative easing and sustained low interest rates have served only to benefit stockholders, but have done nothing for employment, which is part of the central bank’s mandate. Are the countless lawsuits against the banks and “the system” justified? Are there any real lessons we can learn from the complaints? Has the system been gamed beyond repair? As of April 2010, about 2,000 lawsuits had been filed against appraisers, of which 75 percent were filed by borrowers claiming $100 million in aggregated damages. [ii] There are indeed several painful lessons from the many lawsuits. We will take a big picture and systematic approach to examine a few representative complaints in this article. When it comes to understanding the financial crisis, a very real information war is being waged. Deception is used to create confusion, reshape a narrative, control perception, and thereby conceal the facts. Yes, it’s a cover up. The entire apparatus of academic preparation, managing public perception, the media narrative, and the legislative process is shrewd and cunning. Like warfare, it’s all based on many layers of deception. Industry publications, understandably, function as propaganda mechanisms to keep the morale up for rank-and-file employees. The academic world remains complicit in pushing failed academic theories and models as if they were proven facts. The mainstream media is complicit in misinforming the general public, which is easily manipulated for public support of misguided laws. Many high-sounding phrases were created to function as sanitized labels to conceal widespread fraud and predation. Appropriating these phrases did not change any of the facts. Instead, these sophisticated-sounding phrases simply covered up the facts. Let’s consider just five. First, the financial crisis opened with former Goldman Sachs chief executive officer Henry Paulson as U.S. Treasury Secretary pushing the phrase “toxic assets” out to all of the media outlets. The mortgage bonds were not “toxic.” They were fraudulently originated and they defrauded investors. As a result, they were not assets. How were investors to be made whole? Taxpayer money, of course. Second, Ben Bernanke of the Federal Reserve blamed Asia for a “savings glut” as the reason for the housing bubble. In this absurd “debt is good” view of the world that can only come from the nation’s central bank—a perpetual debt machine—frugality and savings are a threat to the banks. Third, business-oriented publications like Business Week, Forbes, Wall Street Journal, and others promoted the phrase “mispricing of risk,” a concept more appropriate for academic journals and text books. “Mispricing of risk” was due to credit default swaps, which offset the risk onto others as insurance. The actual “mispricing” was due to the cost of buybacks as a result of fraud. Fourth, “regulatory capture” was used to describe the inordinate influence of banking executives within the fourth branch of government; a range of voices speaking in Capitol Hill testimony and other venues opted for a sanitized phrase rather than labeling this as political corruption. Fifth, corporations control both political parties, throw large amounts of money at law firms to shape bills that become laws, and at public relations firms to shape public perception. This is called “managing legislative risk” rather than fascism, which is what happens when the corporation controls the state. As we’ve all heard before, government is the handmaiden of business. Since deception is at the heart of all organized frauds, schemes designed to skirt regulation, and rackets designed to exploit the system, sometimes lawsuits come to play to put out the light. Consider Aaron Krowne’s ML-Implode.com, which was perhaps the first to archive and document the series of lawsuits against mortgage brokers and the banks. Krowne’s website was ahead of the curve and became the go-to-source for industry trends and the sordid details that characterize the nature of a legal complaint. 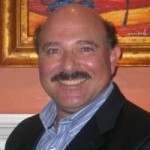 Krowne’s efforts, which were often cited in the business and financial media, were met with frivolous lawsuits for the purpose of shutting down ML-Implode.com. When frivolous lawsuits don’t work to silence onlookers, then nondisclosure terms are used to keep out-of-court settlements forever in the dark. The fact is most complaints settle out of court prior to trial since it mitigates costs and permits the defendant to “save face” by not only burying many shameful details, but also including an admission of no wrongdoing provision as part of the settlement’s terms. This is part of the judicial process and is the way our system works. Settling cases out of court without admissions of wrongdoing serves the interests of corporations, not the general public. Federalism, the constitutional doctrine of preemption, and the judicial doctrine of standing are oppressive and destructive to freedom. Moreover, members of the federal government know how to behave like backward ignoramuses when they want. This is the second critical lesson from the bank lawsuits. The founding fathers were conspirators against the states and their citizens. And, we the people knew it. Though the newly freed colonists were able to negotiate a Bill of Rights as a concession by the conspirators, who wanted to create a federal government, no one anticipated too-big-to-fail banks or systemic economic risk of interdependent firms in a global economy, or the wanton greed for more profit that led to commingling deposit accounts with speculative accounts as in the case of MF Global. The federal government has served to protect the interest of national corporations at the expense of the states and its citizens, because that is what it was designed to do. The night after the filing of Robert L. Schulz v. United States Federal Reserve System, Ben S. Bernanke, United States Department of Treasury, Henry M. Paulson, Jr., and the United States, Paulson and Geithner waged a fear-mongering campaign through the halls of Congress. Paulson submitted a three-page bill that was ridiculed. Then, the shadow government—the unelected agency heads—pulled out all stops. The House of Representatives produced a 100-page bill, which the public did not want as evidenced by a meltdown of the Congressional switchboard: “All circuits are busy. Please hang up and call again.” Then, the Senate produced a 400-page bill, which was evidence of a backward process since that version came into law. On October 3, 2008, President Bush signed into law the Emergency Economic Stabilization Act of 2008, which should have been titled the No Banker Left Behind Act of 2008. Dodd-Frank, the Wall Street Reform and Consumer Protection Act of 2009, had no criminal provisions for further destroying the economy. In other words, the next time around no big bank executive will wear an orange jumpsuit with white socks and flip flops and then be handed soap on a rope as he is put behind bars. That is not going to happen. Civil offenses mean civil penalties. There will be no jail time. Before the Subprime Meltdown of 2007 and the Panic of 2008, Roland Arnall of Ameriquest had institutionalized predatory lending. 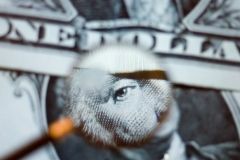 Though the fraud complaints came to the attention of the attorneys general across the nation, the entire lending industry followed Ameriquest’s lead. This was all driven by credit-score-based target marketing and the “democratization of credit” with the goal of creating a customer base of ongoing repeat business. In any other business this would be fine. But, in mortgage lending where credit functions as a public utility, this is predatory. On January 23, 2006, attorneys general, prosecuting on behalf of their states’ citizens as well as lending regulators in 49 states and Washington, D.C., announced a $325 million class action settlement with Ameriquest. [vii] Ameriquest’s settlement per borrower averaged a mere $1,354 per claimant, which in some cases was less than the cost to file for bankruptcy and less than trustee fees that accrue in the foreclosure process. In some states the average award per claimant was less, given that each state had different numbers of borrowers and different loan amounts. Ironically, Ameriquest’s former employees were better compensated as part of separate suits against the company for not being paid overtime while with the company. The payout to settle the claims against Ameriquest amounted to roughly just a one point refund. The settlement, however, provided no relief for the loss of a home to foreclosure, bankruptcy, damaged credit, stress-induced heart attacks or stroke, or suicide. The settlement, moreover, did not take into account impediments that could take place in a job search if an employer required a credit check as a condition of employment. The settlement, finally, required no admission of wrongdoing. Then, the sordid details of the foreclosure scams perpetrated by law firms representing Fannie Mae, Freddie Mac, and the big banks made the news due to local journalists, not mainstream media reporters. Improper foreclosures, fraud on the courts, and the Mortgage Electronic Registration Systems business model made headlines. On October 13, 2010, the attorneys general from the 50 states announced a joint investigation into mortgage loan servicing and foreclosure fraud. They, however, did not call for a moratorium. Instead, they sought to determine whether or not the big banks had made fraudulent or misleading statements in court in order to secure the court’s permission to evict a homeowner in default. The attorneys general from 49 states and the federal government then negotiated a $25 billion settlement with leading servicers to the financial sector’s benefit, because damages were arbitrarily capped. These banks have three years to locate and pay between $1,500 to $2,000 to approximately 750,000 families who wrongfully lost their homes. This amount is about a few months worth of groceries, and that’s it. The problem for these families, which benefits the banks, is that many cannot be reached. Some are homeless, some are now living with extended family, some have left the country, and some have committed suicide. Industry-wide lawsuits warn that no company is untouchable. 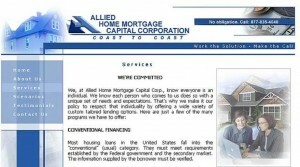 Consider Houston, Texas-based Allied Home Mortgage Capital Corp., a lender that boasted in its marketing pieces that “size matters.” This mortgage company at its peak had over 600 offices and functioned as the nation’s largest privately held mortgage company. Critics and analysts, however, charged that Allied was made up of net branches that existed to skirt government regulation. Like all mortgage companies, Allied Home Mortgage Capital Corp. pushed the envelope and sought opportunities to exploit grey areas in regulation. On November 1, 2011, the government filed United States of America ex rel. Peter Belli v. Allied Home Mortgage Capital Corp., Jim C. Hodge, and Jeanne L. Stell. Since this is a civil mortgage fraud complaint, there is no protection for Jim C. Hodge, the company’s chief executive officer, and Jeanne L. Stell, the company’s chief compliance officer. Due to the fraud allegation, the corporate shield of protection drops and these individuals must give an account. The complaint demanded $2.5 billion, or triple damages, stemming from the Federal Housing Administration’s payout of $843 million in losses. The government claimed that one third of Allied’s government loans originated between 2001 to 2010 went bad, which was evidence of “reckless mortgage lending, flouting the requirements of the FHA mortgage insurance program, and repeatedly lying about its compliance.” Between 2006 and 2007, the default rate on these government loans climbed to 55 percent, evidence that suggests the False Claims Act had been violated. This “last man standing” broker—Allied Home Mortgage Capital Corp.—may end up proving the adage ever true: the bigger they are, the harder they fall. After the details are covered up with hundreds of pages of counter claims and motions, the facts, along with the other deadbeat lenders, will be buried in the heap of the many other failures. The reality is nothing has changed for the better since the Great Depression. In fact, the legislative, regulatory, and judicial environments have worsened. As uncomfortable as it may be for Tea Party adherents on the political right to admit, the fact is the Constitution, as applied by the courts on behalf of corporations, has been destructive. The token gesture legislative remedies that are in Dodd–Frank to “correct” the excesses of preemption cannot undo the damage that’s already been done to America. Moreover, denying Americans access to judicial standing serves to justify those who believe that the government is corrupt beyond remedy, and that Thomas Jefferson was right—a revolution is needed every generation. Finally, the legislative process was meant to follow procedures that were circumvented during the Wall Street bailout hearings. That fact, along with the sideshow called the Financial Crisis Inquiry Commission that had no bearing on the legislative process, served to undermine the credibility of Congress. The many lawsuits are a windfall for law firms. Like it or not, without lawyers and a court system, there would be blood in the streets. But, there is no such thing as perfect justice. The reality is, justice is an expensive commodity, and those without adequate resources are automatically disadvantaged. For those “fortunate enough” to benefit from a class action victory, the victors in such actions are the attorneys. The math, not the decree, is evidence of this disturbing fact. What have we really learned? The American Dream of homeownership is based on the debt-based economy that feeds Wall Street at the expense of Main Street. We have confused debt with affluence and freedom. The many credit props pushed onto Americans at the expense of our institutions are required to produce home price run-ups, which have been viewed as sure bets for retirement planning. The many lawsuits in the aftermath of the subprime meltdown and financial collapse suggest that all of this was just an illusion orchestrated by a few and implemented by a network of useful idiots. As Frank Zappa once observed, “The illusion of freedom will continue as long as it's profitable to continue the illusion. At the point where the illusion becomes too expensive to maintain, they will just take down the scenery, they will pull back the curtains, they will move the tables and chairs out of the way and you will see the brick wall at the back of the theater.” All one has to do is look at the riot police ready to take out Americans deemed “terrorists” to understand that it’s all indeed just an illusion. Peter Hébert is a mortgage finance and real estate industry subject-matter expert with a master of business administration degree in finance and marketing from Mount St. Mary’s University in Emmitsburg, Maryland. Hébert runs Freedom House Press and is the author of Mortgaged and Armed (Freedom House Press, July 2010), which is available on Amazon.com. His upcoming book Death by Banking (Freedom House Press) was completed in September 2011 and will be available in 2012. He can be reached at PeterHebert@verizon.net. [i] The Mortgage Litigation Index is a measure of legal complaints against the banks, but downplays the actual number of complaints given that just one class action claim is a consolidation of hundreds or thousands of complaints. [ii] “REAL ESTATE APPRAISAL SERVICES FACING MORE LAWSUITS,” Foreclosure Deals, April 19, 2010. [iii] CHRISTOPHER M. RUSSELL, ET AL. vs. ERIN KROWNE, ET AL., TRANSCRIPT OF BEFORE THE HONORABLE DEBORAH K. CHASANOW MOTIONS HEARING UNITED STATES DISTRICT JUDGE, UNITED STATES DISTRICT COURT FOR THE DISTRICT OF MARYLAND SOUTHERN DIVISION, NOVEMBER 11, 2008. [iv] Asher Hawkins, "Going Tribal," Forbes Magazine, August 7, 2008. [v] Brad Sherman, “Testimony on the Bail Out,” United States House of Representatives, October 2, 2008. [vi] Excerpt from Peter Hebert, Predator Nation, Freedom House Press (Pending Release). [viii] Excerpts from Peter Hebert, Death By Banking, Freedom House Press, September 11, 2011. [ix] "MANHATTAN U.S. ATTORNEY SUES ALLIED HOME MORTGAGE, CEO, AND EXECUTIVE VICE PRESIDENT FOR FRAUDULENT LENDING PRACTICES CURRENTLY ASSOCIATED WITH $834 MILLION IN INSURANCE CLAIMS PAID BY HUD," UNITED STATES ATTORNEY’S OFFICE, Southern District of New York, November 1, 2011. [x] "MANHATTAN U.S. ATTORNEY SUES ALLIED HOME MORTGAGE, CEO, AND EXECUTIVE VICE PRESIDENT FOR FRAUDULENT LENDING PRACTICES CURRENTLY ASSOCIATED WITH $834 MILLION IN INSURANCE CLAIMS PAID BY HUD," UNITED STATES ATTORNEY’S OFFICE, Southern District of New York, November 1, 2011. [xi] All of the central banks were created as an act of Congress. There are rumors floating of the third central bank’s charter coming for renewal in 2013. The author’s call to the Federal Reserve’s public affairs office tentatively confirmed that unlike the first two central banks, the Federal Reserve has “no charter.” But, the public affairs officer at the time of this writing could not provide any documentation or citation of the act or amendments to the Federal Reserve Act of 1913 to support her statement of the “perpetual” nature of the Federal Reserve.